Aspers has won the license to build a super casino in Southampton as a part of the redevelopment of the city’s Royal Pier area. This is the third such casino license won by the casino operator. The Royal Pier is being redeveloped with an investment of £450 million. 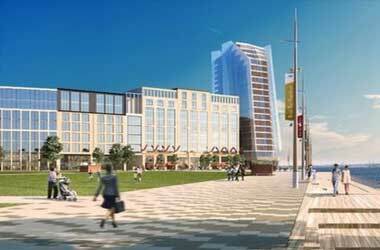 According to the recently published city plans, the revamp of the waterfront will include new restaurants, retail stores, and a 250-bed hotel, apart from the new Aspers casino. The casino has been touted as an integral part of the project. Matt Tucker who is a councilor for Southampton said that the revival of the waterfront at Royal Pier and Mayflower Park was a much anticipated project for the city and emphasized the fact that the new casino will play a key role towards the revival. The Southampton Council had approved applications of seven casino operators for the project in 2014. Some of the biggest operators participated in the application process including Genting, Global Gaming Ventures, Grosvenor, Kymeira Casino and Aspers. The final decision was supposed to have been made in June 2015 but the process was delayed and a final decision was made only this month. Tucker said that the competition process for the casino was amongst the most complex undertaken nationally and said that the bidding had attracted some of the best names in the industry. He added that the superior quality of bids had made the decision tough but in the end the decision was based as to which proposal offered the city the most. The council decided to go with Aspers because the proposal looked to deliver the most. The casino is expected to generate 180 jobs after it is made operational in 2021. According to the terms of the license, Aspers will have permission to have up to 30 blackjack and poker tables as compared to the 20 which is the limit in a regular casino. Aspers will also be able to offer 150 slot machines which set a jackpot value of £4,000 as the maximum limit. Aspers also operates popular casinos in large casinos in Milton Keynes and London Westfield.